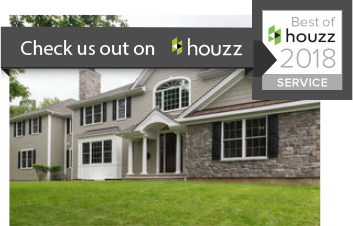 The success of your new home project depends largely on choosing a quality custom builder in New Jersey. Selecting the right builder is just as important as choosing the location and design of your new home. Above anything else, you should focus on quality and value over affordability. Custom homes are meant to be forever homes. Choosing an inexpensive New Jersey custom home builder is only setting you up for frustration, upcharges and to pay for repairs down the road. 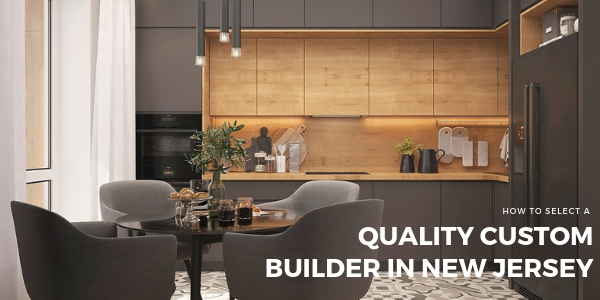 Here are some insider ways you can determine if your builder values quality by using the best products to build your custom home. Many builders rely on dimensional lumber for framing due to the inexpensive costs associated with the material. Dimensional lumber is milled from soft woods such as spruce and pine and has varying degrees of stability. The majority of dimensional lumber used for custom home projects come from young trees undermining the stability of the wood. Environmental factors can also impact the stability of dimensional lumber. High moisture areas, like coastal New Jersey homes, can experience issues when a home is framed with dimensional lumber. The fluctuating moisture content could cause the lumber to twist, bow, shrink, and expand. A quality custom New Jersey builder will use engineered lumber instead of dimensional lumber. Engineered wood is made from resin, glue, and wood particles/veneers to create structurally sound building materials. Load factors for engineered wood are precisely calculated to prevent issues such as bowing and twisting. When a builder uses engineered wood, homeowners won’t experience sagging issues or hear squeaks when walking over their floors. Engineered lumber is an environmentally friendly choice too since deforestation is a common concern when building a new home. Engineered wood is a sustainable building material choice and greener than constructing a home with dimensional lumber. Furthermore, engineered lumber pieces are available in greater lengths making it a preferred choice when designing a custom home with an open floor plan. A NJ quality custom homebuilder will also make distinct choices about what type of subflooring to include in your new home. Plywood and engineered subflooring have clear compositional differences. Plywood is constructed from glued strips of wood veneer while engineered subfloors use polyurethane bonding for extra protection and durability. Engineered subfloors are stiffer than plywood subflooring making them stronger and longer lasting. The high resin content in the engineered subflooring makes them the ideal choice in areas where moisture is a concern. During the construction process, plywood tends to delaminate when exposed to any moisture. With the superior fastener holding offered by engineered subflooring, floors are kept level with reduced squeaking. When you have a New Jersey home built, you want to develop a partnership with a builder who aims to build the most energy efficient home possible while keeping your residence protected from the elements. Zip Board Sheathing was developed through Huber Engineered Woods as an alternative to plywood and OSB systems. Zip Board has proven to have an enhanced level of durability when compared to other systems. The moisture barrier associated with Zip Board protects the structure from early construction phase and on. Joints are tightly sealed to prevent moisture exposure over the homes’ lifetime. Air transfer is also blocked, air exchange is the greatest cause of home energy loss, as a way to improve total home efficiency and indoor air quality. Controlling moisture exposure and air transfer will increase a homes’ energy efficiency. For those looking for a green home, relying on energy efficient building materials like Zip Board is a must. During the 1960s, vinyl siding was developed as an alternative to inexpensive and dent-prone aluminum siding. However, vinyl siding is vulnerable to certain issues like cracks and breaks especially in poor weather conditions such as extreme cold and high wind. Builders who use James Hardie siding choose a more beautiful type of siding constructed from fiber cement, which will protect your new home for years to come. James Hardie siding is five times thicker than traditional vinyl siding, making it highly resistant to wind, snow, hail, and extreme temperatures. Vinyl siding is flammable and this could become problematic if you have grills or outdoor fireplaces near the exterior of the home. James Hardie siding has high heat resistance and also will not sag or wrinkle from sun exposure. Compared to vinyl siding, James Hardie sidings color will fade 20 percent less. Along with the building materials used by your New Jersey custom homebuilder, you should consider the company’s past performance as told my recent clients and contract terms. A few unsavory builders may use high-pressure techniques to get you to sign, but then have limited availability to start the project. GTG Builders are the rare exception that will start a project immediately after contracts are signed. Another advantage of GTG Builders is a minimum deposit is requested upfront. Competitors may ask for 10 percent or more at time of signing. Experience will play a part in choosing the right homebuilder for you. A builder with limited experience or that operates in only a small market will not have an innovative mindset about your home project. Home builds require different best practices depending on their location in New Jersey. For instance, custom homes at the Jersey Shore will need inclusions that protect the residence from coastal storm damage. Choose a builder well-versed in different NJ markets and environments. Interview each New Jersey custom homebuilder extensively before making your final choice. Ask what materials they use for construction projects and request a list of references to review past projects. When you have found a quality NJ custom homebuilder, you will should feel an overwhelming sense of excitement about your new home project.